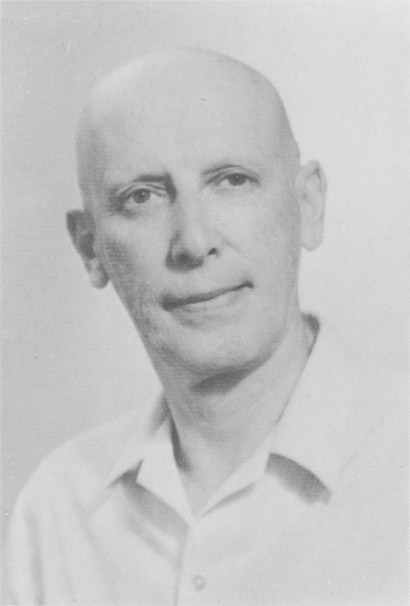 On 12th July, 1982, in Tel Aviv, Professor David Milman passed away. He was one of the famous pioneers in functional analysis and he is remembered for his outstanding contributions. David Milman was born in 1912, the Saturday before the Jewish Passover, in a small town called Chichelnik near Vinitza, Ukraine, now USSR. For the sake of "simplicity", the local registrar recorded his birthday as January 1, 1913. D. Milman began his education in Heder, where he received both religious and secular instruction and, until age 14, continued reading in Hebrew both original and translated works (amazingly, these included the works of Shakespeare). At the same time he also attended a Ukrainian school, and from age 14 a chemistry college (called the Chemistry Professional School). There he met Israel Gelfand and together they became interested in mathematics. Unfortunately he was forced to leave the Chemistry Professional School because his social origins were viewed unfavorably by the new regime: his mother's fatherwas the rabbi of Chichelnik, and his father owned a shoe store before the Russian revolution. In 1929 his family moved to Odessa. Once there, David by chance came across an article in a popular weekly magazine, "Ogonyok", about Fermat's Last Theorem. Soon afterwards he met Ivan Timchenko, Professor of Mathematics at Odessa State University, who helped him find an error in his "proof" of Fermat's theorem, but suggested that he should apply to the university. David was accepted one month later (1931) as a second year mathematics student at Odessa State University. He graduated in 1934. Again, because of his social origins, the authorities did not allow him to proceed with his mathematical education until 1937, when he became a graduate student of M.G. Krein. He received his Ph.D. in 1939. These were the boom years of functional analysis. M.G. Krein was leading one of the first seminars in functional analysis in the USSR (Odessa), and David Milman was one of the active participants in the seminar. Over various periods of time the participants in this seminar included V.A. Artemenko, M.S. Brodskii, F.R. Gantmacher, V.R. Gantmacher, B.Ja. Levin, M.S. Livsic, M.A. Naimark,V.P. Potapov, M.A. Ruttman, V.L. Smul'jan. Many contributions, which now form a part of the basis of functional analysis were produced and discussed by the members of this seminar. The topics were varied, starting with geometry in Banach spaces and abstract operator theory (linear and non-linear), and up to applied problems in mechanics and engineering and their connections. David Milman is remembered by members of the seminar as a man who was a constant source of new ideas. It is recalled how the Brodskii/Milman theorem on the center of a convex set was proved. Milman and Brodskii worked during the summer vacation whilst living in the Dachas which are on the outskirts of Odessa in the resort area on the Black Sea coast. Every morning David Milman would visit Brodskii and bring with him a new idea of the proof. They would sit together and discuss the proof until they found that the idea they were working on would not work. This procedure was repeated for twenty-nine consecutive days, until on the thirtieth day, the thirtieth idea went through. Unfortunately, soon after World War II this seminar and the school of functional analysis at Odessa University, came to an end because M.G. Krein was dismissed and his students had to leave. The seminar was very important for David Milman as a forum in which he could try out his ideas. David Milman was very devoted to mathematics, research and education, and this dedication knew no bounds, in either space or time. On one occasion he came to M.G. Krein after midnight to discuss a fresh, and for him, very important mathematical idea. He could not understand why the hour should be a factor preventing immediate discussion. Even Krein's protest that he had to catch an early train the next morning, had no effect on Milman. In 1938, David married Nemo Tsudikova, a physics major. Together they raised three sons, all of whom are mathematicians. Vitali is a professor of mathematics at Tel Aviv University; he continues to work on functional analysis, and especially on geometry of Banach spaces. Peter is a professor at Toronto University, and Vladimir, who is still in Russia, works in computer science. From 1939 to 1945 David worked as an Associate Professor (Dozent) at the Polytechnic Institute. He joined the Odessa Institute of Communications in 1945 and worked there until 1974. He played an important role in revising the mathematics program at this institution and he served as chairman of the Mathematics Department from 1949-1966. In 1974 he immigrated to Israel and was immediately offered a professorship at Tel Aviv University. He arrived speaking Hebrew fluently and lectured in Hebrew from the very beginning until his untimely passing eight years later. The first publications of D. Milman (1938-1939) deal with criteria for reflexivity of Banach spaces. He proved that a Banach space E is reflexive if it is uniformly convex; i.e. for every ε > 0 there exists δ = δ(ε) > 0 such that (1/2)*||x+y|| > 1-δ, ||x|| = ||y|| = 1, implies ||x-y|| < ε. This theorem was not only the first result in the Geometric theory of Banach spaces, the active study of which continues to the present, but also an inspiration for other results to follow. He also established the following necessary and sufficient condition for reflexivity; the unit ball is weakly compact and every nested collection of nonempty closed convex subsets of the unit sphere has a nonempty intersection. Later, David Milman , Vitold Smul'jan [Mat.Sb.5(47) (1939), 317-328 (Russian) MR 1, 335], W.F. Eberlein [Proc. Nat. Acad. Sci. U.S.A. 33 (1947), 51-53. MR 9, 42; MR 10, 855], and also David Milman together with Vitali Milman [23, 25, 26] found even stronger criteria for reflexivity of Banach spaces. In his work with B.Ja. Levin , David Milman proved that the only closed subspaces of both the Banach space of functions of bounded variation and the space of continuous functions on [0,1] are finite dimensional subspaces. Every bounded regularly convex subset of a dual to a Banach space is the regularly convex hull of its extreme points. D. Milman's theorem on the existence of invariant measure in dynamical systems defined by functionals . In case of complex-valued functions on Q one can consider Re f(q) or |f(q)| for f ∈ R. For example, for a convex regularly closed subset Q of a dual to a Banach space with the R being linear functionals, the T-boundary is the closure of the extreme points of Q; for a family R of harmonic (or analytic) functions on a domain Q in the complex plane, the T-boundary is the usual boundary of Q; family R of analytic functions of several variables (in a domain Q ⊆ Cn), the T-boundary is the skeleton of Q. In the separable case, the T-boundary is the closure of the set of all points q0 ∈ Q such that for at least one f ∈ R and for all q ≠ q0, f(q0) > f(q). f(q0) = ∫Tf(q)dσ(Iq,q0) with measure σ(Iq,q0) supported on T and determined by q0 uniquely in the separable case. In the important paper  written by D. Milman jointly with M. Krein and M. Krasnoselskii, the gap between two subspaces of a Banach space was introduced and studied. Theorems have been proved which establish equality of dimensions for subspaces with a small gap. These results are then used for the study of defect numbers of linear operators in Banach spaces, angular operators and others. This paper played an important role later in the theory of Fredholm operators. Among other results, D. Milman  extended I. Shafarevich's criterion for the existence of a norm on a commutative topological field to the case of commutative topological rings with unit. In particular this implies a characterization of dense subrings of complete topological rings of continuous functions on a compact set. Jointly with Brodskii, D. Milman  introduced the notion of a normal structure of a convex set and proved that if K is a convex, w-compact set with a normal structure, then there is a common fixed point for the set of all surjective isometries of K (moreover, they have proved this theorem for a larger class of distance nondecreasing mappings). He introduced the notion of a normal cone K in a Banach space E; i.e., there exists δ > 0 such that if x, y ∈ K and ||x|| = ||y|| = 1 then ||x+y||>δ. It turned out to be very useful: By the two main theorems of the theory of cones in Banach spaces due to M.G. Krein, normality of the cone is equivalent to the condition that for every f ∈ E* there exist f1 and f2 = f-f1 from K, and it also implies the existence of an isomorphism i of E with a subspace of continuous functions on a compact set, which identifies K with the nonnegative functions in i(E). D. Milman also found an extension theorem for sublinear functionals [24, 30] which implies the three fundamental Banach theorems. In Israel he extended this result to the case of subadditive functionals . (Note that on R1 the set of all symmetric sublinear functions p is one dimensional, namely p(t) = λ×|t| for λ≥0, while the set of all symmetric subadditive functions p has infinite dimension, containing all p(t) = |sin(ω×t)| for ω>0.) Numerous theorems of functional analysis are special cases of Theorem B of . Also in Israel (1979-81), D. Milman introduced the notion of the central subset of an open domain G in Rn and studied its structure [33, 34, 35]. In the case that the boundary Q = δG is a smooth submanifold of Rn, the central subset of G is R. Thom's cut locus of Q, see . These results of D. Milman have already found recognition in singularity theory (see, for example, the introductions to J.N. Mather's "Distance from a submanifold in Euclidean space," Proc. of Symposia in Pure Math. vol. 40 (1983), 199-215 and Y. Yomdin's "On the local structure of a generic central set," Compositio Math. 43 (1981), 225-238). His last manuscript , which is to appear in this issue, is a continuation of his earlier work in [20, 27]. David Milman had a philosophical inclination and a tendency towards simple, general and fruitful ideas. He was an extraordinary lecturer, devoting much time and effort to education. He also was a kind and sympathetic man who always offered help to those in need.